Make a quick getaway to explore dynamic Montreal in depth with a guided tour and plenty of free time. Your four-day tour begins in New York as you board the Adirondack train to head north into Canada. 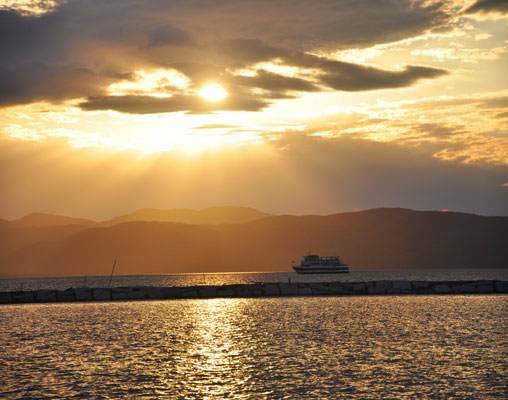 Enjoy incredible views of the Adirondack Mountains and Hudson River Valley as you relax onboard. You arrive in Montreal early evening with plenty of time to enjoy the modern flair of its exciting nightlife. The next day provides a chance to explore your favorite points of interest in Montreal with a Hop On/Hop Off tour. Enjoy the old world influence of its gothic architecture and get a glimpse of the city's rich history around every bend. You then have a free day to discover more of Montreal on your own. Investigate this cosmopolitan city's chic shopping and exquisite cuisine, touched by Montreal's special European influence. Board the Adirondack at 8:15 a.m. and arrive in Montreal at 7:11 p.m. on this trip that travels through the Adirondack Mountains and Hudson River Valley. The train hugs the beautiful Lake Champlain before it reaches Canada, and finally crosses the St. Lawrence River to arrive in Montreal. Overnight Montreal. Embark on your Montreal Hop On/Hop Off sightseeing tour to more than 200 points of interest throughout the city. 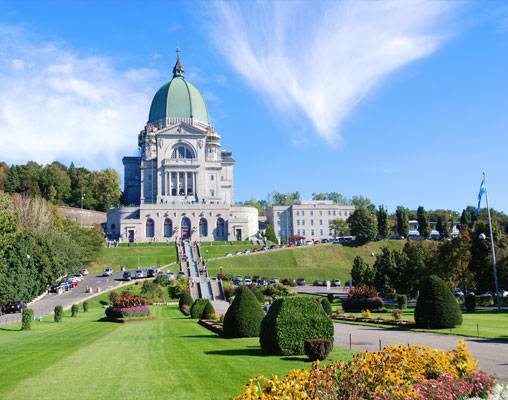 Highlights include Notre Dame Basilica, historic Old Montreal, the Olympic Complex, McGill University, and a breathtaking view from the top of Mont Royal. Overnight Montreal. 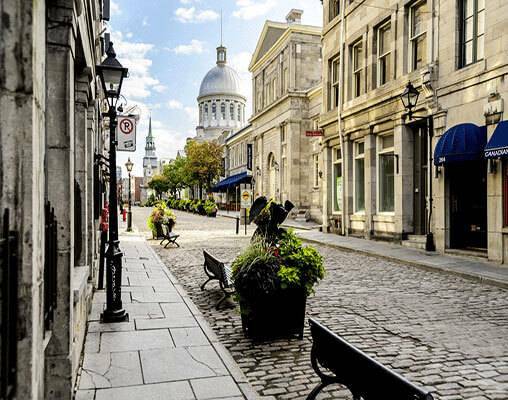 Bid farewell to this dynamic city as you depart Montreal at 8:20 a.m. Enjoy the scenery as you relax on this daylong journey, before returning to New York City at 8:50 p.m.
Hotel accommodations are at the Marriott Chateau Champlain, Montreal. Amtrak accommodations are in Coach and include a reclining seat with leg rest. Enter your details below if you would like to be notified when 2020 dates and prices are available for Montreal by Rail - Roundtrip New York City.